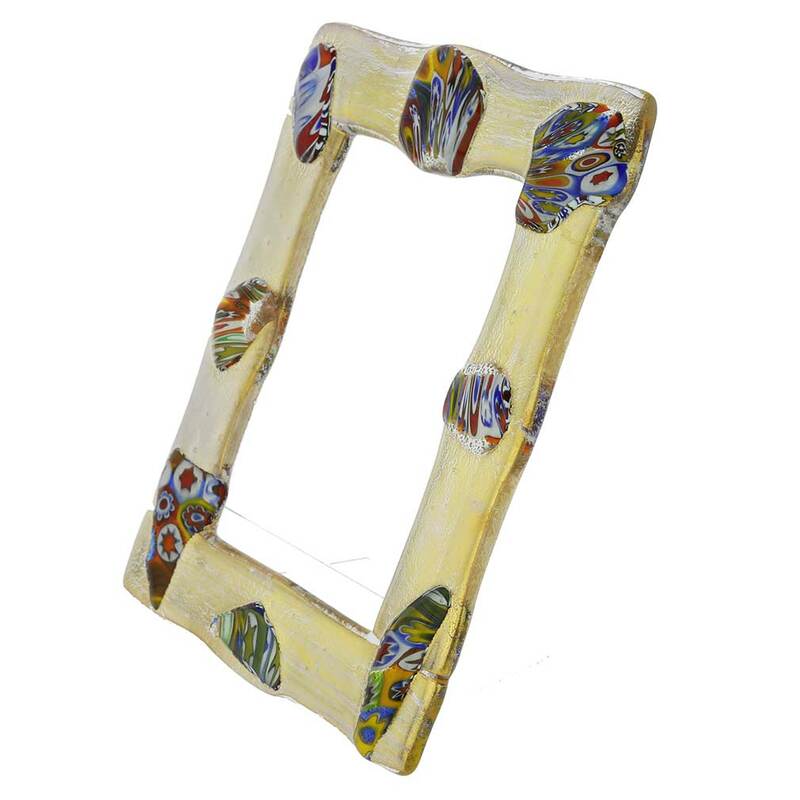 This exquisite Murano Glass photo frame offers a uniquely artistic way to display your favorite photos and add Venetian accent to your home decor at the same time. 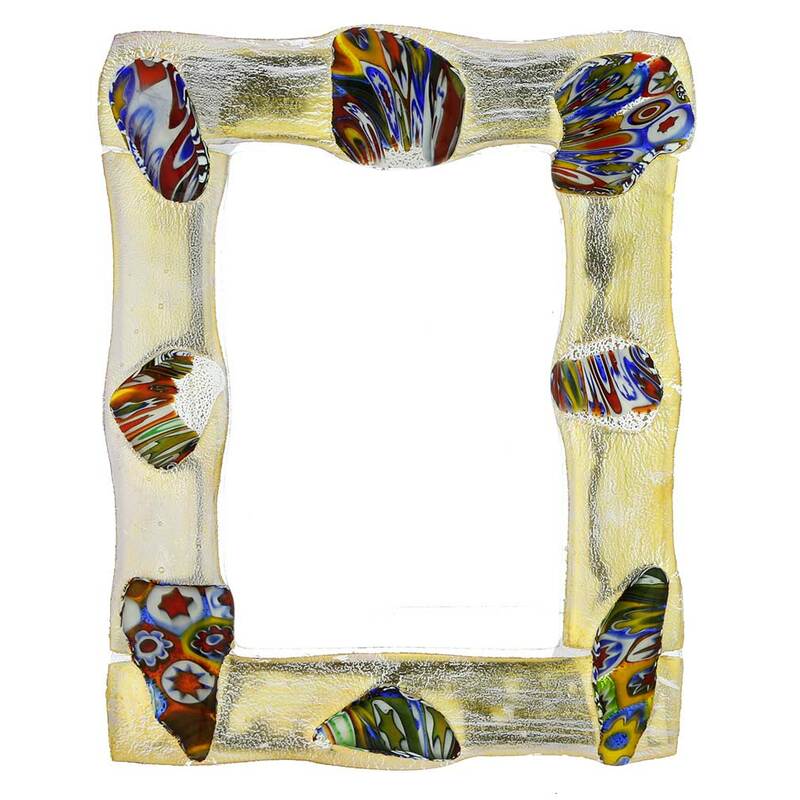 Handcrafted by the master artisans on the island of Murano in Italy, the frame features richly colored glass base decorated with exquisite Murano glass pieces. 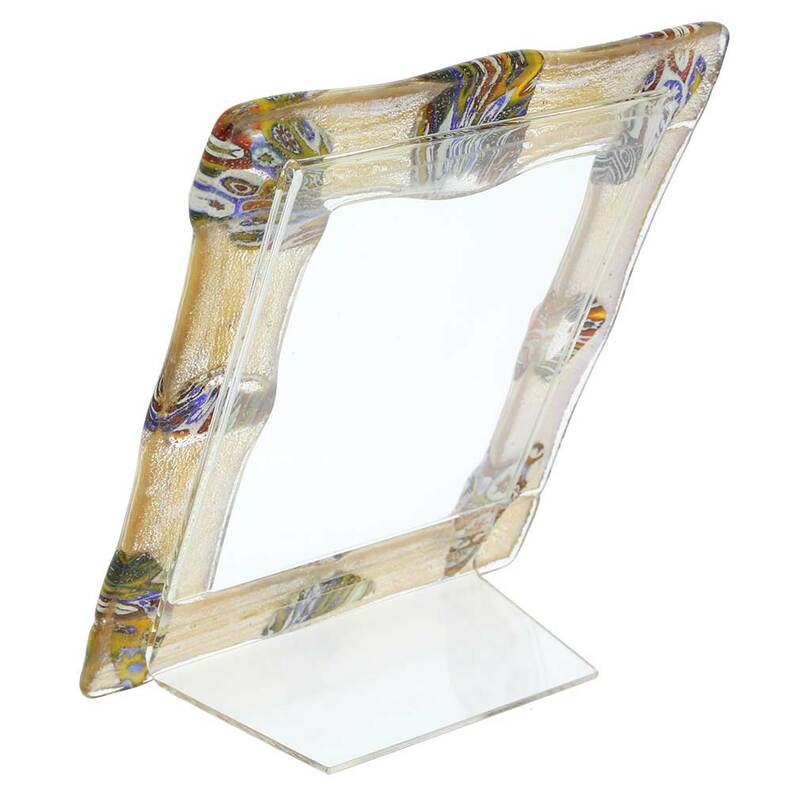 Treasure your memories by displaying your photos in this Murano Glass frame or give it as a special gift of Venetian elegance. Measurements: Please read the following information carefully. 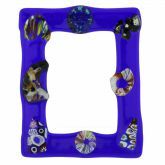 The photo frame front opening measures approximately 3x4 inches. This is the size of the visible area of your photo when inserted in this frame. You can insert a photo sized up to 4 x 5.5 inch but please pay attention to the size of the visible area indicated above. The frame comes with a certificate of authenticity.